Lots of people use Spektrum Radios, but the Spektrum range of drone compatible receivers is currently pretty limited. A good alternative is Lemon Rx. Unlike lots of other Spektrum compatible receivers, the Lemon Rx products aren't inferior in terms of performance or reliability, nor are they Spektrum clones. Best still they are much better value than the Spektrum products! This particular Rx, is a DSMX satellite receiver which is compatible with DSMX Spektrum and DSMX Orange Rx products. It is also backward compatible with DSM2 modulation but must be used with a DSMX compatible primary receiver. As a Satellite RX you can use it in conjunction with a full size receiver for a really secure connection. Equally, it is a full range receiver with diversity on its own, so you can connect it directly to a compatible flight controller i.e. a Naze32 or SP Evo for a really neat solution. Weighing only 2.7g with the case this receiver is incredibly lightweight and with a 22x19x7mm footprint this receiver can fit in some tight spots! 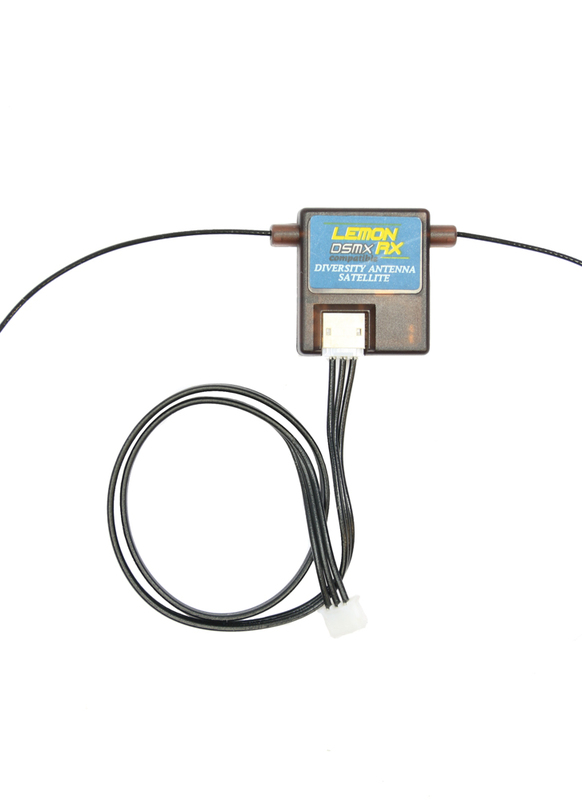 If you use a spektrum transmitter you simply cannot beat the LemonRx receivers for size, price, and performance. To bind this satellite receiver with your radio, you will need to use either a full size receiver, CLI commands with flight controller or best still our simple USB Bind Tool. Go to the Ports tab. For UART2, under the RX column, turn Serial RX on (green). Save. 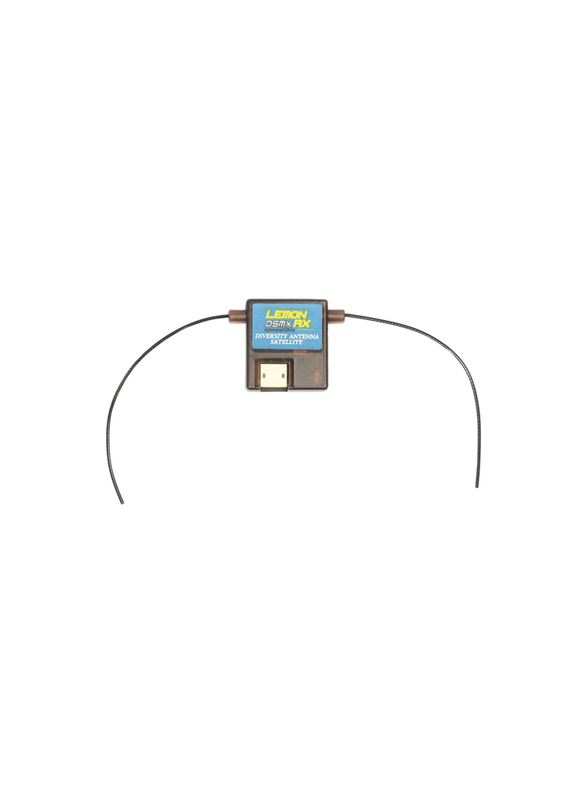 Under Serial Receiver Provider, select SPEKTRUM2048 for DSMX or SPEKTRUM1024 for DMS2. Save. On the Receiver tab, choose Spektrum/JR as your channel map. Save. can this satellite rx be uses with Spektrum AR8010T receiver? Hi, yes it is compatible.